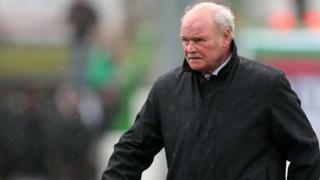 A furious Portadown manager Ronnie McFall claims the match officials got important decisions wrong in the Irish Cup final. David Scullion scored the winning goal for Glentoran but just before that the Ports felt Glens defender Willie Garrett should have been sent-off for fouling Michael Gault. McFall also felt they should have had a penalty for hand-ball.